Due to high demand for this item, all new orders shipping in May 2019. “Astounding“, “Gave up vinyl finally“, “Never heard anything like it!” Product of the year in both Stereophile and TAS, Darko Knock Out award, Editor’s choice and Golden Ear awards. DirectStream is one of the most remarkable DACS ever built and the reviewers agree. Hand written, discrete, perfection based conversion that uncovers all the missing information hiding in your digital audio media. 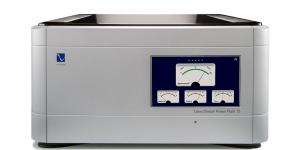 CD’s, high-resolution PCM or DSD based media are expertly upsampled in the DirectStream to twenty times DSD rate and output as pure analog directly into your amplifier or preamplifier. Now, full MQA, Tidal (including Masters), Spotify, VTuner, Qobuz, and Roon ready with Bridge II installed. Due to high demand for this item, new orders will resume shipment in May 2019. 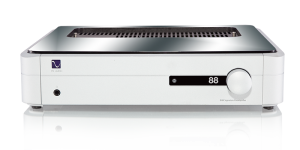 Class A+ Stereophile rated DirectStream DAC converts any digital input format, such as PCM or DSD to a pure DSD stream and outputs near-perfect analog directly to your power amplifier or preamplifier. Whatever the format, whatever the sample rate, DirectStream is a pure DSD based solution that fulfills the promise of a high-resolution analog performance standard the originators of CDs promised over 30 years ago. Hear what’s been missing in your music for all these years. If you know the sound of music and instruments, and want to hear what’s been missing on your discs, then this DAC is right for you. Now, full MQA, Tidal (including Masters), Spotify, VTuner, Qobuz, and Roon ready when you have the Bridge II installed. In all configurations I tried, playback from the Memory Player was clearly better than playback from the Mac Mini+Roon. This is an instance where I feel the differences were not a matter of preference. I am sure there are some out there who would prefer the sound of the server, but they would be wrong…. I consistently heard a lower noise floor from the Memory Player and, from that, more air, better definition, and less smearing, which I became aware of only when confronted with its absence. I can’t think of a company I’d be more comfortable hitching my digital wagon to than PS Audio. The DirectStream Memory Player and DAC are, without question or reservation, exceptional products worthy of your serious consideration. Attaining the performance provided by the PerfectWave transport and DirectStream DAC even five years ago would have cost multiples of the PS Audio Duo. This potent, engagingly musical front end will allow you to rediscover the plethora of CDs in your collection with a fresh, more organic and dynamic take. And with the millions of CDs flooding the used market the PerfectWave Transport and DirectStream DAC will be a great musical partner standing by your side for years to come. The DirectStream DAC is the hottest thing to come of PS Audio since forever. This unconventional design, even as it does all manner of violence to the heart of the purist with all of his “do nothing to the signal” whining, just kills it. Its performance is on par with some of the very best “traditional” designs on the market, and with its potential for endless upgradability, the DirectStream is revolutionary. Time will tell if and when these levels of performance, flexibility, and luxury will become available for less than $6000. But today, for those who've waited for a computer-friendly DAC that offers, with every type of music file, the best musicality of which DSD is capable, the PerfectWave DirectStream may be in a class by itself. DirectStream’s easily the best DAC I’ve ever heard in my system, making digitally-recorded music sound better than I’ve ever heard it. The real magic of this DAC may centre on its handling of PCM material—material the DAC gives greater smoothness, fluidity, dimensionality, and elegance than it might otherwise have had. I don’t mean to suggest by this that traditional PCM playback methods cannot or do not sound perfectly good in their own right, because they certainly can and do. But if PCM playback has an identifiable ‘failure mode’ it might be that PCM files can at times sound a bit flat and 2-dimensional, while exhibiting subtly edgy and/or mechanical qualities that tend to hold the listener at arm’s length from the music. ... I will tell you that it makes these sorts of playback problems better—and sometimes eliminates them almost completely. the jump from downmixed to true, native DSD was quite astonishing. It lifted a previously unnoticeable opaqueness, allowing unfettered access to the full harvest of tonality and detail. Synergy and magic. Right now here in our listening room...Way deeper bass, way more open, way less whatever being in the way of our music… way more music. Dynamics… try My Disco's "1991" or anything from Lustmord. Happy times. The DS is a game changer; I think it has caused the ‘war’ between DSD and PCM to be on hold or mute for most of us, and above all hold your horses before buying expensive high-resolution PCM files or DSD. That alone is a major accomplishment. The DirectStream DAC is one of the finest-sounding DACs I have heard. Many will be excited just to see that it can accept DSD signals, but I would say that they are being shortsighted. The DSD processing of all signals is what makes this unit special. PS Audio’s DirectStream DAC is a goto unit for vinyl fans who’ve previously found digital playback to sound too rigid or uptight. The DirectStream is simultaneously more mellow and understated; there’s less of the celestial awe of the Aqua La Scala MKII and less of the ultra-colourful exuberance of the AURALiC Vega. The PS Audio DirectStream is a musically authentic, thoroughly engaging and ultimately compelling DAC that elevates the listening experience to an entirely new level. Its treatment of any digital material, regardless of format, is quite astounding — even MP3s and Internet radio sounded vibrant and exciting. Matthias Böde of Germany's Stereo Magazine gives DirectStream 100 out of 100 points. The article is in German, but it can easily be translated and viewed if German's not your native language. But what happened now was beyond our expectations. Maybe we had been lulled into a bit of been-there-done-that reviewer fatigue but the DirectStream’s handling of this CD became a rude wakeup call and put us back on edge to eat crow. Damn, the performances of the various groups and soloists were so real and at such dynamic range, it was hard to believe that the source material was a simple 16/44.1 Redbook CD. Even at low listening levels, music retained its character with no sense of the sound washing out. For those people looking for a direct-to-amp DAC/Digital Preamp, consider the DirectStream a solid contender. This is a brilliant design, with exceptional execution, and paradigm-setting sound. I can tell you, this bloody DAC, DSD to the fore, is a real killer. Flat-out, stone-cold, and damn-straight. It has been a while since 2008, but now I have to say that the DirectStream DAC is the first real rival to Playback Designs that I've heard. It goes right to the top of my heap of DSD DACs, right next door to the PD Series-3. The envelope for the audio arts has moved out yet again. To tell you the truth, I couldn't be more pleased! This is good for music, for our recordings, and for us all. And that is the highest compliment that I can pay to PS Audio's breakthrough product…. It is truly an exceptional product, and a DAC that allows even the most familiar music to surprise and enthrall. Yes, the folks at PS Audio understand that with digital audio, there can be no final word. 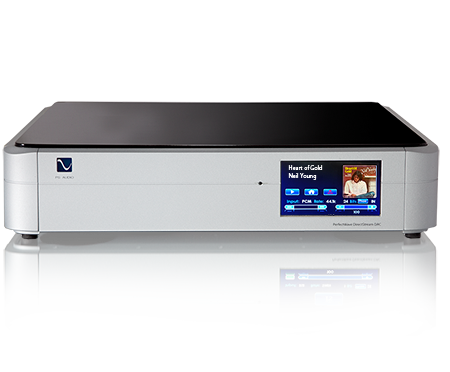 Meet the Directstream – a DAC that is ready to keep up with the conversation. DirectStream shown with optional Network Bridge installed. The network Bridge provides local network access to NAS, and most network UPnP applications.